there are too many goals – are they too complex? the SDGs have a PR problem – are they too clunky? the SDGs sought agreement with no action – are they too dreamy? Many of these concerns may be valid, but we can work with them. They are the world’s biggest ‘to do’ list, and they are, after all, the only set of global goals to transform the world to a more inclusive form of capitalism. If they were not complex, with a PR problem and very ambitious, I would be worried that they had been over-simplified for the sake of consensus. So, let’s take them for what they are, and look at the immense value of this framework for businesses, government and other sections of society. The complex nature of the goals are their biggest strength, as they were always intended to be used together interconnectedly, not in isolation from one another; this is often their least understood aspect. Systems thinking is required to leverage their value; it’s about bigger picture thinking and linking topics together to create transformational change. It’s not about incremental change, or one-off projects. 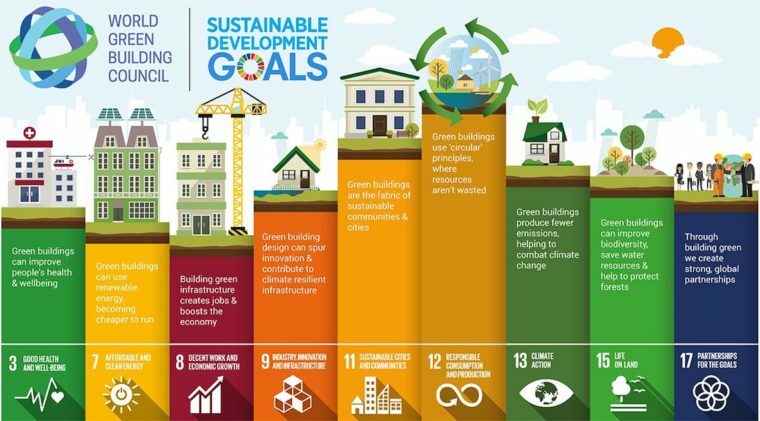 A great example of this is Local Government Authority, City of Melbourne who are delivering an integrated response to the SDGs through the Plan Melbourne 2017-2050. Councils can use this framework systemically to support integrated planning, as they impact every goal directly or indirectly through the work they do. The SDGS are the ultimate crowd-sourced strategy. With 194 countries consulted, across all sectors, and the tagline “We the People”, it’s a story of us. With their universal appeal, they are a reminder of our shared humanity and interconnectedness. In our polarised world, we need that common language for different stakeholders to have a conversation. Although much of the SDGs are in “UN speak”, with a little creative translation of the 169 goal indicators, it becomes clear that the cross sector, multi-state, cross-country ability to converse in that common language is unprecedented. Unlike their predecessors, the Millennium Development Goals, the SDGs are not just about developing countries – every country in the world has work to do. “The SDGs have turned every country into a developing country,” said James Gomme, SDG Director at World Business Council for Sustainable Development. There is not one country in the world that has top marks on all goals. The late Ray Anderson, founder of Interface, once said, “What is the business case for ending life on earth?” Of course there isn’t one, but businesses still need to be convinced of the business case for action on sustainability. Consider a report released earlier this year by the Business and Sustainable Development Commission, a group led by 35 CEOs and civil society leaders. The report concluded that sustainable business models aligned to the SDGs could open new markets worth up to $12 trillion and create up to 380 million new jobs by 2030. Large organisations are already generating real value from business strategies aligned with the SDGs, as exemplified by 13 Corporates studied by Trucost, who were found to be already generating $233 billion in SDG-aligned value. The goals are already shaping the global economy and driving business trends. For companies, it’s not about cherry-picking the goals they want to work on, but finding those that are material to their current and future strategy. This assessment cannot be done accurately without engaging stakeholders and understanding the business case. One of the most exciting things about the global goals is that they speak to purpose, at the individual, company and government level. From schools to universities to not-for-profit organisations, it’s easy to see how the SDGs can ignite conversations and discussion around the question “what do we really want to achieve?”. When I run workshops on the SDGs I always ask, “which goal resonates with you most?”, and there is always one which gets each person really fired up, makes them angry; but they want to channel that anger productively. From gender equality, to poverty reduction and climate action, SDGs are a place where purpose lives. The SDGs represent a form of inclusive capitalism that we all want to get on board with; an SDG approach that resonates with employees and customers generates untold amounts of value. most importantly, remember we are all in this together – and there is much work to do. Asha Kayla is a sustainability leader and advocate, a Fellow of the Centre for Sustainability Leadership and a Cambridge Institute for Sustainability Alumni. She is a writer, speaker and trainer. Details of her upcoming SDG masterclasses in Sydney are available on her website here.